". . . fascinating analysis of religious belief. 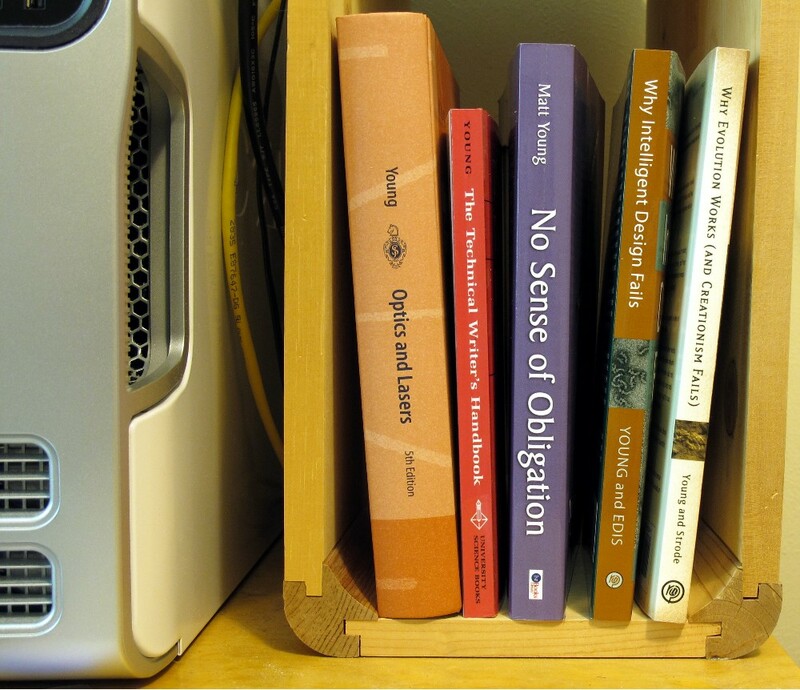 In a day when there are influential religious leaders ... preaching and sincerely believing that the entire vast physical universe is only about 7,500 years old, there is the most urgent need for books like No Sense of Obligation." "A tour de force of science and religion, reason and faith, denoting in clear and unmistakable language and rhetoric what science really reveals about the cosmos, the world, and ourselves." "Challenge to the believer and the nonbeliever alike." 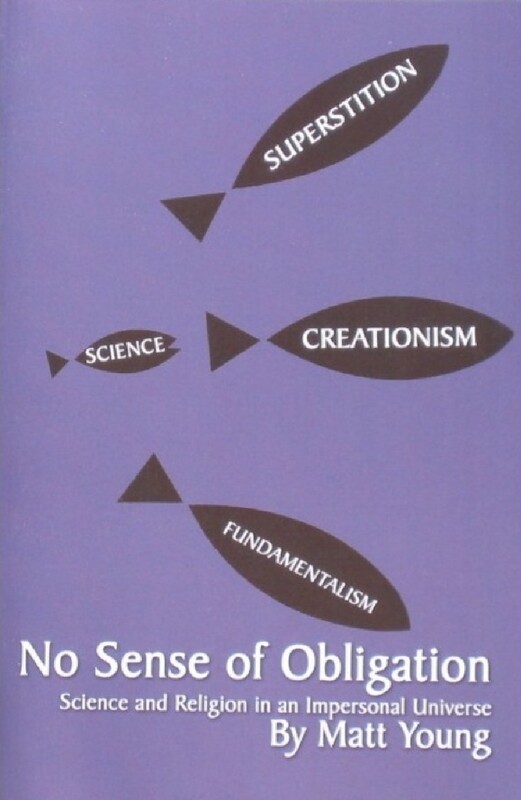 Excerpted from No Sense of Obligation: Science and Religion in an Impersonal Universe, by Matt Young (FirstBooks Library, 2001), ISBN 9780759610897. Copyright under (CC BY-NC-ND 3.0). No commercial use. If you feel a moral obligation to pay me for my work, please order the book from your local, independent bookstore or get it from AuthorHouse directly.